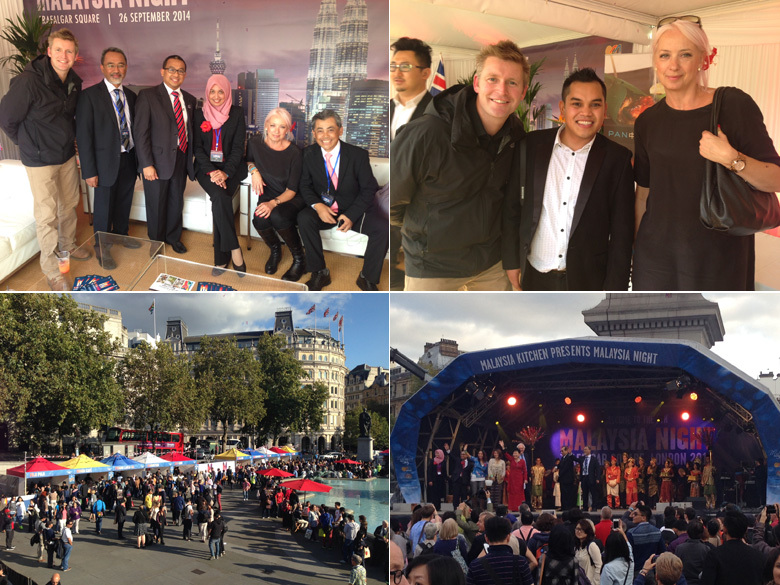 TARRC attended the opening ceremony of Malaysia Night 2014 in Trafalgar Square in London on Friday 26th September. The event was held from 12pm-10pm at night. This was the fifth year the event has been held at one of the most prestigous landmarks in London. It was great to see the excellent turnout of visitors who were there to sample the delicious food and watch a great evening of entertainment. TARRC's David Cawthra and Gail Reader with MATRADE London, with Jeffri Ramli a contestant from this year's X Factor, Trafalgar Square with Malaysian eateries and the stage during the opening ceremony with the High Commissioner of Malaysia.